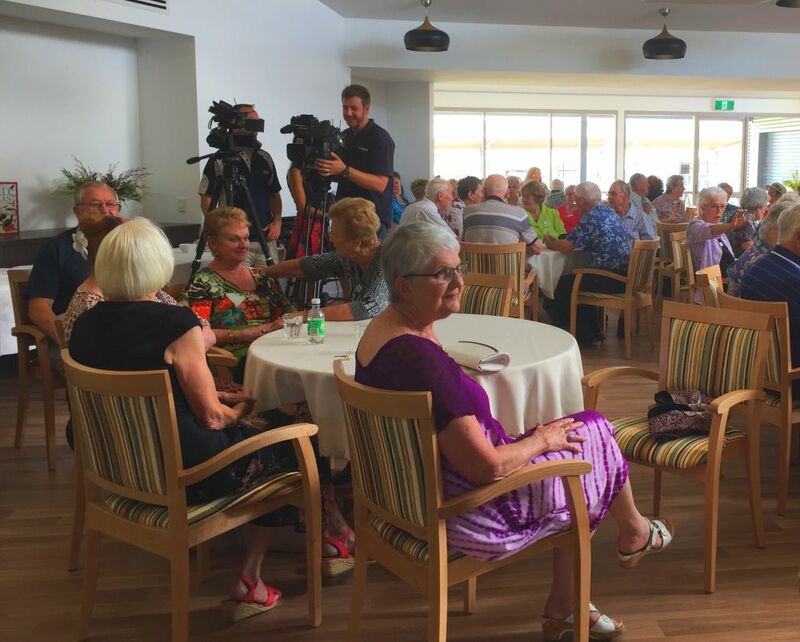 About 150 people joined in the celebrations at today’s official opening of UPA Murray’s $17.5million Lavington aged care facilities upgrade. The works over the past five years were in two stages: Stage 1, the construction of 46 homes ($13.5million) and Stage 2, the community centre and other infrastructure ($4million), just recently been completed. UPA Murray Regional Director, Tony Dunn said the works which were part of the master plan had sustained about 45 construction jobs. “The master plan didn’t only provide for new buildings and new spaces. 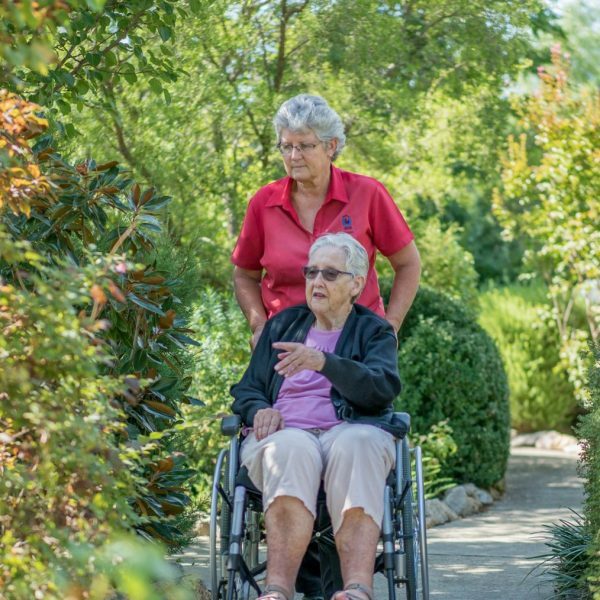 Works in this final stage also include road works and features that improve how the site functions, accessibility and connection to other parts of the site and community facilities,” Mr Dunn said. 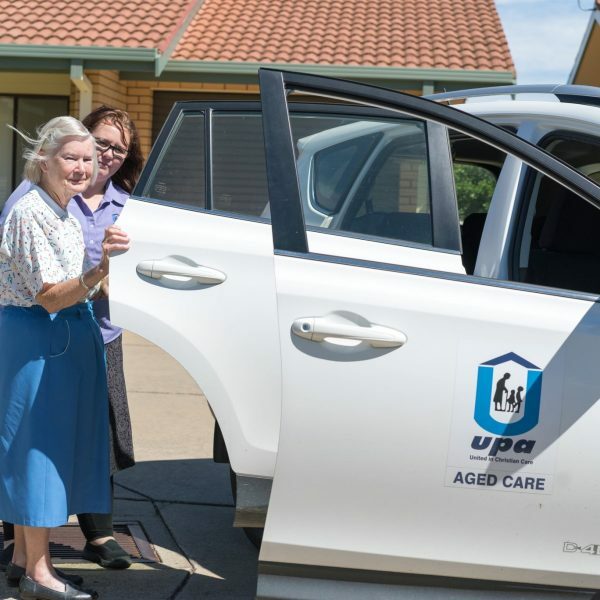 “Some of the upgrades that were part of the final stage include the new Amaroo Dementia Day Care Centre and the Community Centre that caters for 250 people incorporating separate craft room, card room, kitchen, library and chapel,” he said. “The changes integrate a 28-space car park, new offices for our staff and a new drop off/pick up area at the Murray Vale Shalem Hostel. This all makes the site flow better and incorporates safety features for our residents and guests. 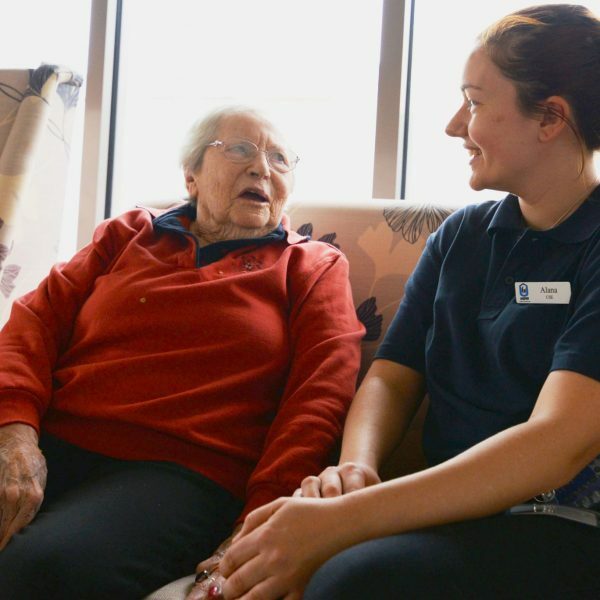 “Our staff are already enjoying working in the more spacious offices and residents are commenting positively on the benefits of the new dementia day care centre, the community centre and additional spaces. A project like this does cause some inconvenience during the building works, so we are really appreciative of everyone’s understanding and are pleased with the finished product. The development was designed by Wodonga architects, JWP Architects and the final stage built by Wodonga builders, Premier Building and Construction. Nancy Cowell, who has lived at UPA Murray Vale for 21 years, cut the celebration cake at the opening. UPA’s state president, Louise Buxton and UPA Murray’s district executive president, Andrew Harbick performed the opening. 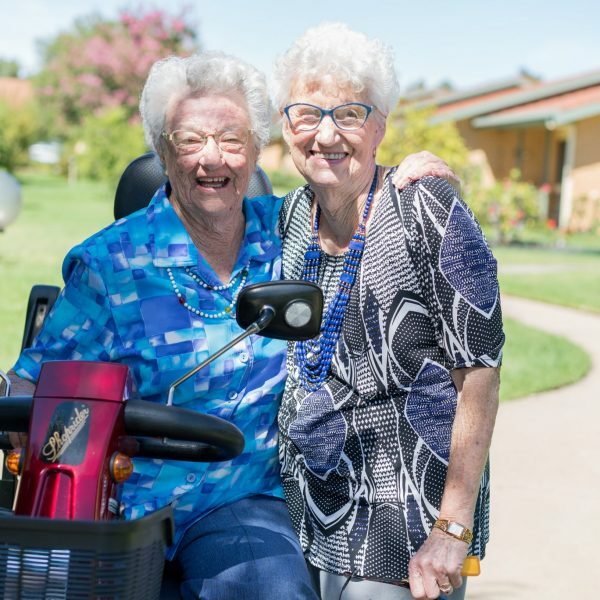 Barbara Murray, who was a resident at UPA’s Lavington children’s home on the site in 1958, has served on the district executive and is now a resident at Murray Vale, talked about UPA’s role in her life. 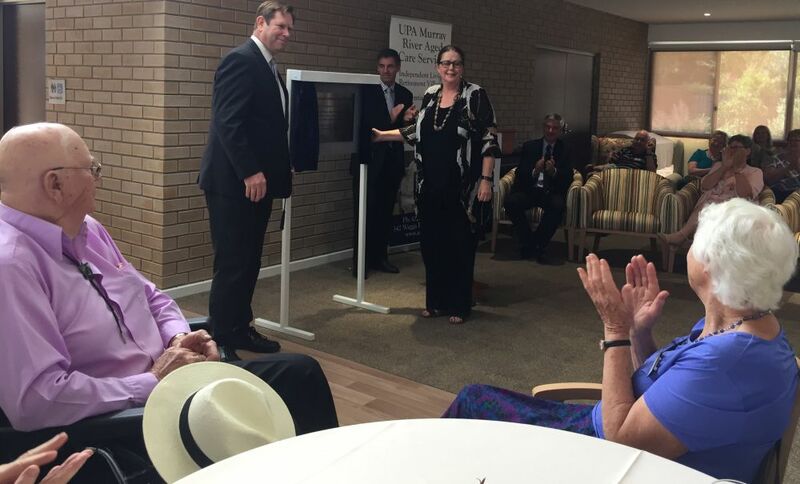 UPA Murray’s district executive president, Andrew Harbick and UPA state president Louise Buxton open the development. About 150 people attended the opening ceremony.